Our Team - Evans Title Agency Inc.
Tim Evans began his career in the title industry in 1991 when recognizing a demand in the market and potential business opportunity. Having spent years working in the banking industry, he was already accustomed to the needs of his potential clients. In April of 1991 Tim opened the doors at Evans Title and Appraisal Company (later changed to Evans Title Agency, Inc.) for business. For over two decades, Tim has been giving back to the industry through involvement in the Ohio Land Title Association (OLTA) and American Land Title Association (ALTA). 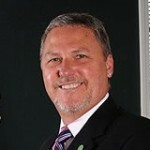 Tim was installed as President of the OLTA in September of 2004. His involvement does not stop there, as he’s also contributed much of his time to the community (Tipp City, OH) he calls home, for both his family and his business. His involvement soon led him to become an elected City Councilman and Mayor of the City of Tipp City, OH. Today, at the state level Tim is serving as a Trustee for OLTAPAC and as a member of the Nominating Committee for OLTA. On the national level he’s currently Chairman of the Title Action Network Steering Committee (a sub-association of ALTA), a member of the Membership and Organization Committee, Agents Executive Committee, State Legislative and Regulatory Actions Committee and the Abstractors and Agents Research Committee for ALTA as well as a TIPAC Trustee. Having over thirty years of title industry experience, Pat Ahlstrom is a vital resource for Evans Title Agency, Inc. Before joining our team in 1996, she was employed as an auditor for a national underwriter as well as an office manager of a law firm owned title agency in Cincinnati, OH. Pat’s knowledge in the title industry has no boundaries, as she’s proficient in all departments of our company. As a second-generation family member in the company, Jamie could tell you all sorts of benefits of growing up around the business. For example, being able to complete a title examination before she was legally permitted to operate a vehicle. Before making the decision to join the family company in 2010, Jamie was focusing on her retail management career; where she had been since graduation from Wright State University (BS in Organizational Leadership). It was there that she developed her strengths in organization, time management, attention to detail and customer service. Currently, Jamie focuses her time managing the title examining division of our business, which operates under the name ET Examining Services. When not working, Jamie enjoys spending time with her husband Brian and their two “children”; Ally (boxer) and Reese (Chihuahua). Jamie has recently found a new passion for health and fitness, completing her first 1/2 marathon in Erie, PA.
Having been around the title business since age 5, saying Matt grew up in the industry is no exaggeration! In the fall of 2009 he joined the team at Evans Title Agency, Inc. following his graduation from Wright State University (BS in Organizational Leadership). Matt’s roll within the company is building client relationships, as well as assisting in keeping the company moving in a forward direction. Matt is a past-president of the Miami Valley Land Title Association and a member of the tech committee for the Ohio Land Title Association (OLTA). He’s currently serving on the Board of Directors for the Tipp City Chamber of Commerce. Outside his professional career, you’ll find Matt competing in bicycle and running races throughout the mid-west. He’s an avid runner, cyclist and automotive enthusiast. Currently he’s working to take his education to the next level as he pursues a Masters degree in Business Administration at Urbana University. 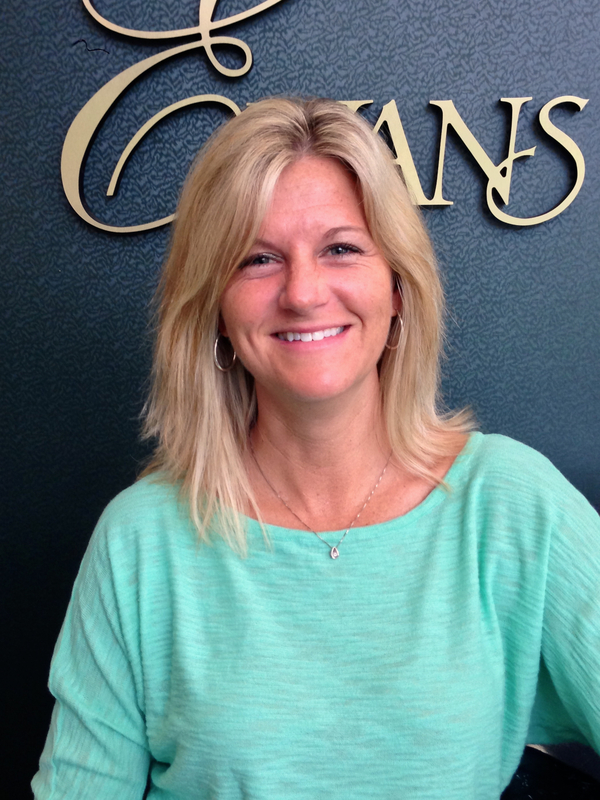 After leaving the company for 6 years to raise her children, Julie returned to Evans Title Agency, Inc. in June of 2011. She has many years of title experience and is well rounded in all aspects of the business. Julie can be found in the office processing files, at the closing table or in the field working to build client relationships. Her attention to detail and wonderful personality are just a few of great qualities, which make her such an important asset to Evans Title Agency, Inc. Away from her professional career, Julie takes pride as a mother and wife.